Popping everywhere from apparel to accessories this winter Millennial pink has been the au courant shade of the season! 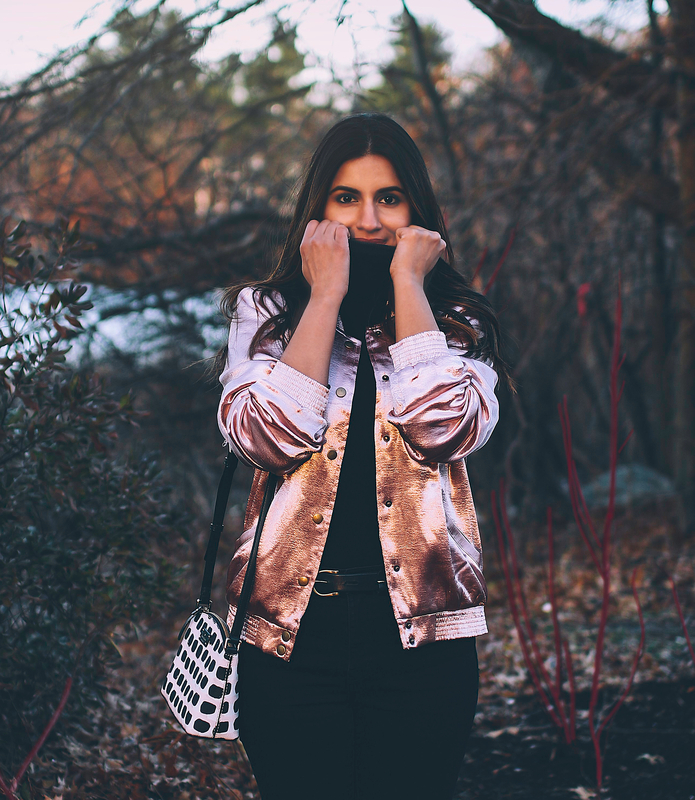 This pink bomber jacket from Scatto hits the right note with its metallic satin finish and works as a perfect transition piece from day to night. I styled it two ways: Monotone and paired with dark tones. Which look do you prefer?